With Project Fi, we set out to make your wireless experience fast, easy and fair—with access to three national 4G LTE networks, and international roaming at no extra cost. But many of you have asked us for more options for high quality, affordable devices that work with Project Fi. We’ve heard you and we’re excited to launch our newest phone for Project Fi: the Android One moto x4. We took some important steps with Android One earlier this month by expanding the program to bring a fresh, secure software experience designed by Google to more high-quality devices no matter the price point. The launch of Android One moto x4 on Project Fi is the next step in our commitment to work with more partners and expand Android One to new places. Packed with a pure Android experience, advanced hardware and great network connectivity, here’s a closer look at what you’ll get with the new Android One moto x4. Like all Android One phones, Android One moto x4 runs a pure Android experience, with a clean software design and a carefully curated set of preinstalled apps to give you just what you need. 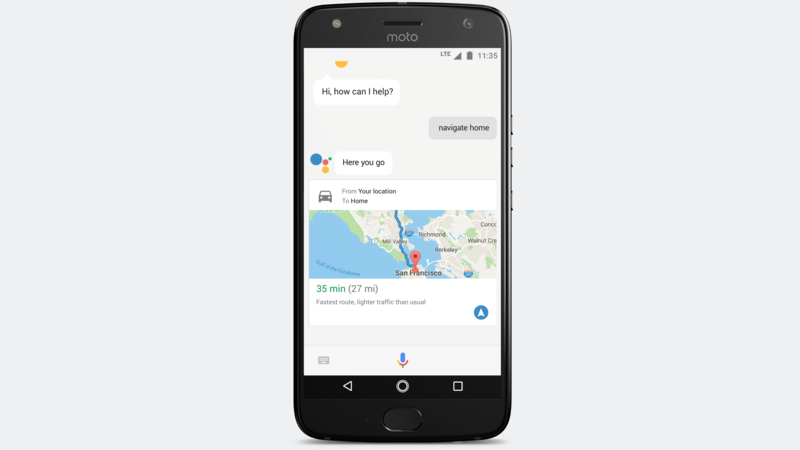 For example, it comes optimized for the Google Assistant to help you get more done, and offers high-quality video calling with Google Duo. You’ll also get access to the latest updates from Android, such as Android Oreo before the end of the year. 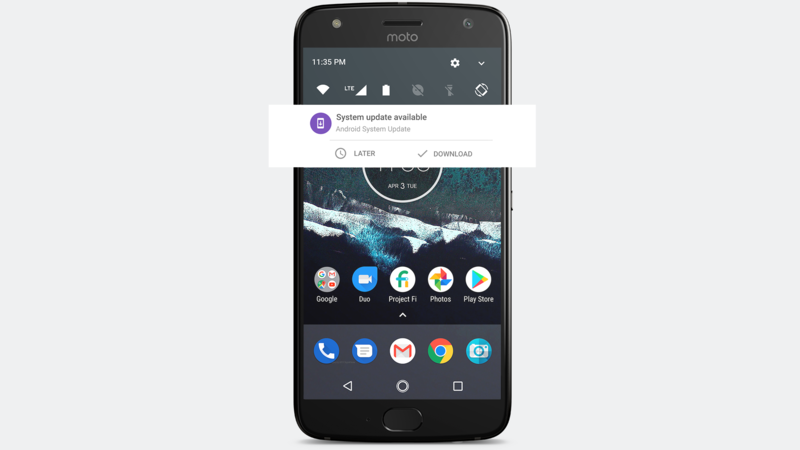 Android One moto x4 will be among the first to receive an upgrade to Android P.
The Android One moto x4 comes with three cameras. A 12MP + 8MP dual rear camera system lets you capture wide-angle photos and detailed portraits. The front-facing camera comes packed with 16MP and an adaptive low light mode. 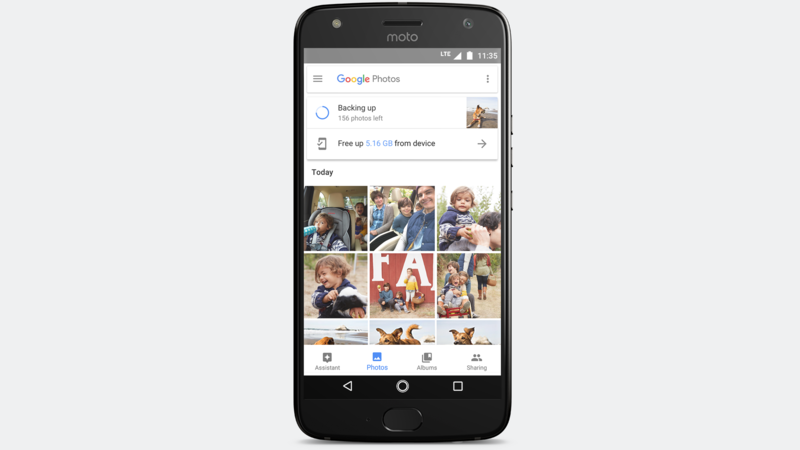 And with free high quality storage from Google Photos, you never have to worry about running out of space. Power through the day and enjoy your favorite Android software features like battery saver. When you need to recharge, TurboPower™ charging makes it ultra fast: You can get up to six hours of power in just 15 minutes. 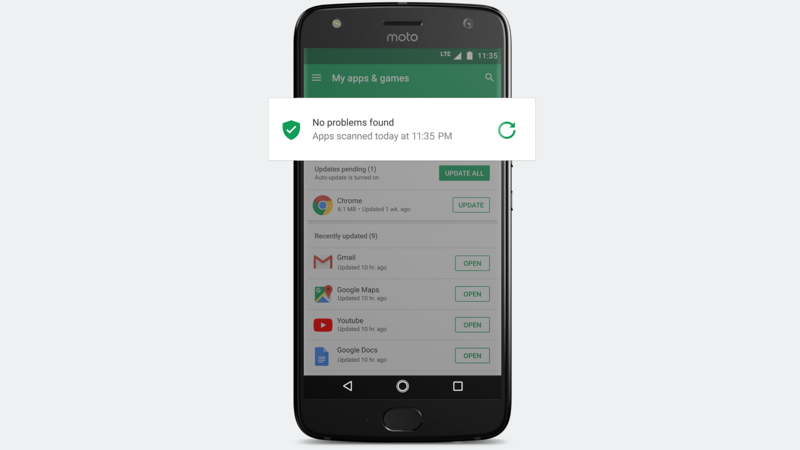 The Android One moto x4 will receive timely security updates and built-in malware protection from Google Play Protect, working around the clock to keep your device, data and apps safe. The Android One moto x4 is priced at $399, comes in Super Black and Sterling Blue, and is available only in the U.S. on Project Fi’s network. You can pre-order it on the Project Fi website starting today. If you’ve got an older Nexus phone and want to trade it in for a new device, we’re making it easier than ever with our new trade-in program. We’ll give you up to $165 for select Nexus devices, and if you start your trade-in for an Android One moto x4 by October 5, you’ll earn an extra $50 Fi credit.